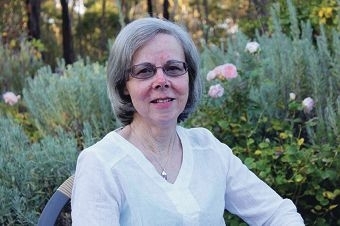 Maureen Hamilton may be WA’s volunteer of the year. Mrs Hamilton has been the primary volunteer at the library for 12 years and, at age 65, shows no signs of slowing down. ‘It was a great surprise to be nominated. There are so many brilliant volunteers, especially in Toodyay. It was the last thing I expected,’ Mrs Hamilton said. Toodyay librarian Angi |McCluskey said she nominated Mrs Hamilton for her selfless work in the Morangup community. ‘She has given so much to the community and I think it is time that we recognise her. If she hears of anyone having problems or being sick, she is the first one to help,’ Ms |McCluskey said. The Morangup library was started 20 years ago and is run out of the Morangup community hall. Since Mrs Hamilton started volunteering, the library has transitioned from an old-|fashioned card system library, to one that uses computers. ‘I found it a bit scary at first but I got the hang of it. It’s much more streamlined now,’ Mrs Hamilton said of the new technology. Mrs Hamilton said there was no such thing as ‘shhh’ at the library. ‘We all talk and laugh,’ she said. Never afraid to try new things, Mrs Hamilton has just taken up ballroom-themed line dancing, which is also run out of the community hall. The 2013 Volunteering WA Volunteer of the Year Award recipients will be announced at a gala event on May 15 during National Volunteer Week.